“A little bit glamour, a little bit rock, a little burlesque, and all attitude. 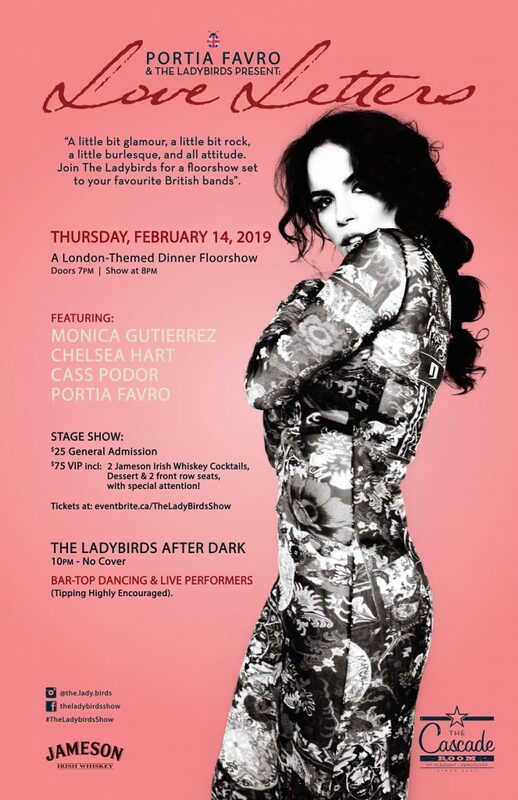 Join The Ladybirds for a floorshow set to your favourite British bands”. $75 VIP includes: 2 Jameson Irish Whiskey Cocktails, Dessert & 2 front row seats, with special attention!